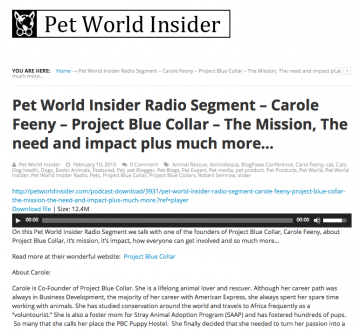 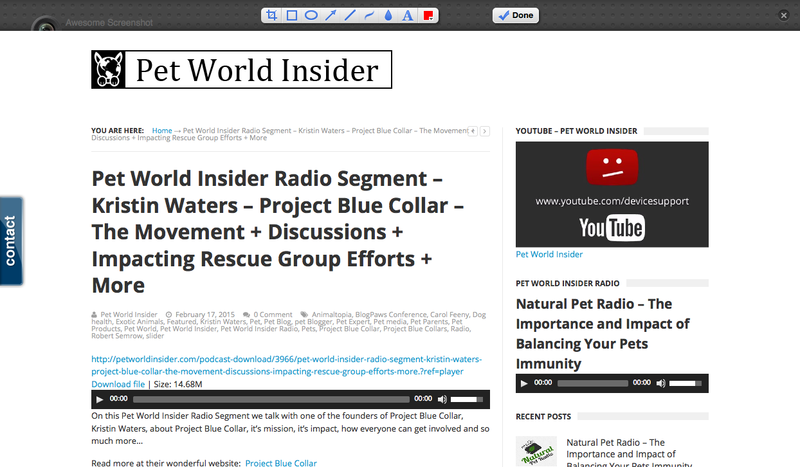  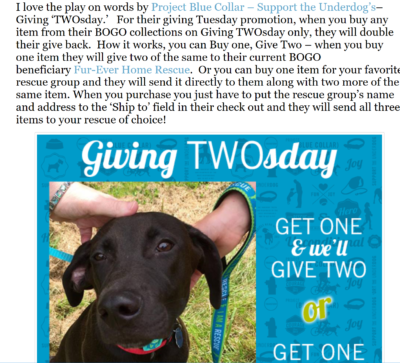 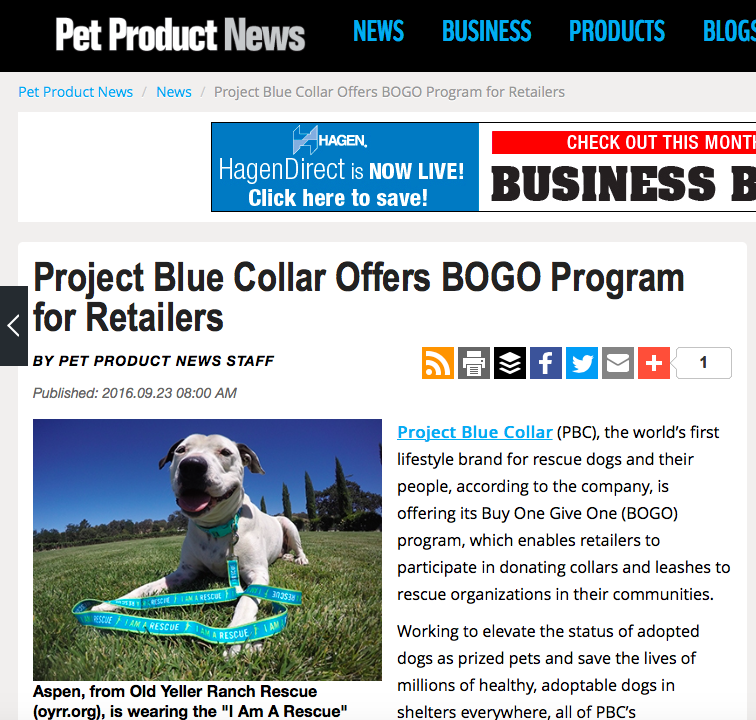 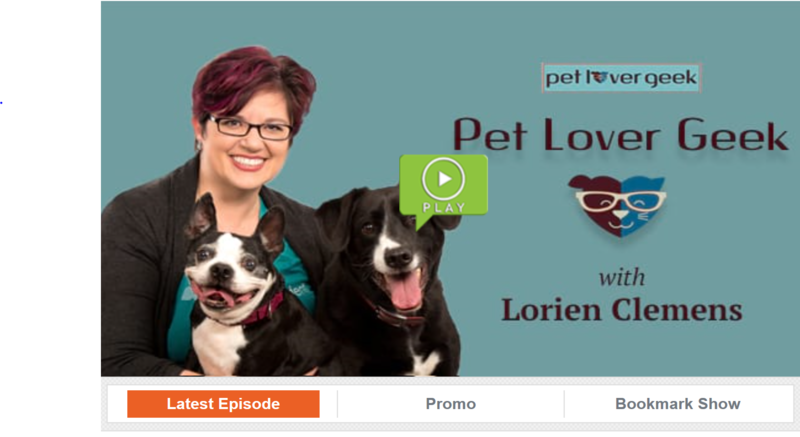 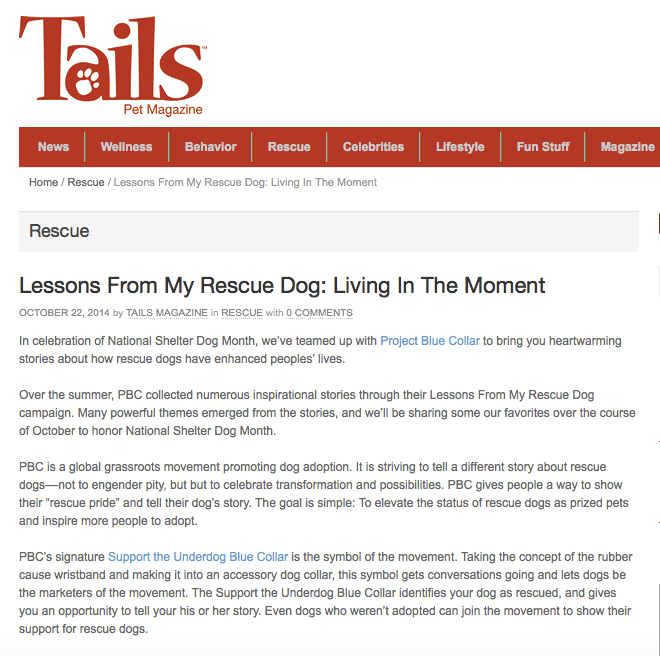 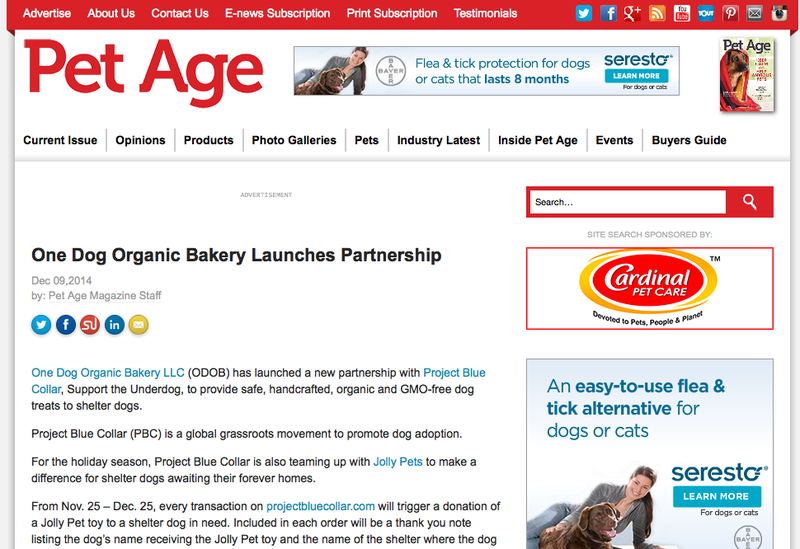 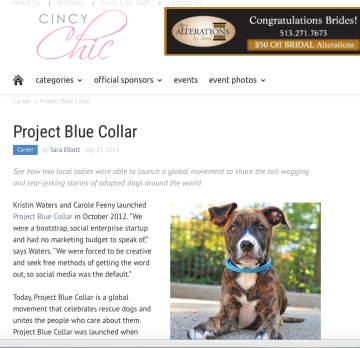 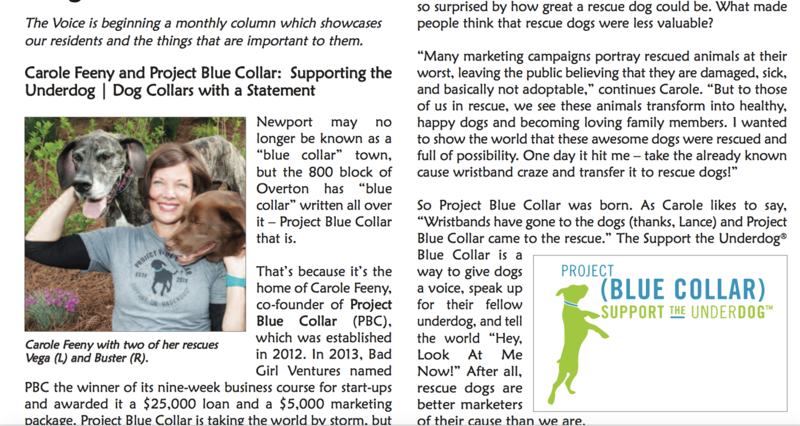 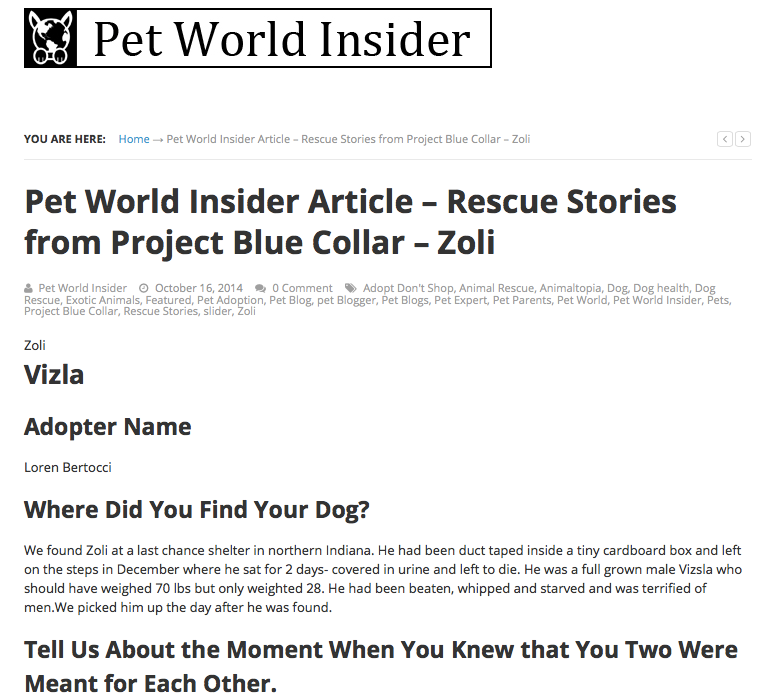 Project Blue Collar – See how two local ladies were able to launch a global movement to share the tail-wagging and tear-jerking stories of adopted dogs around the world. 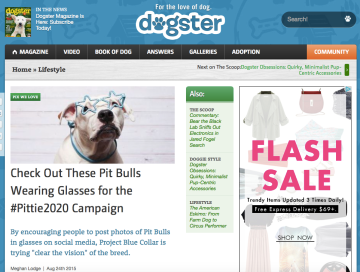 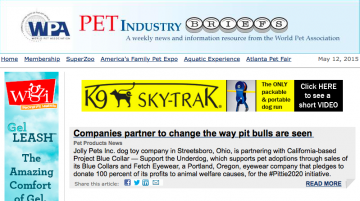 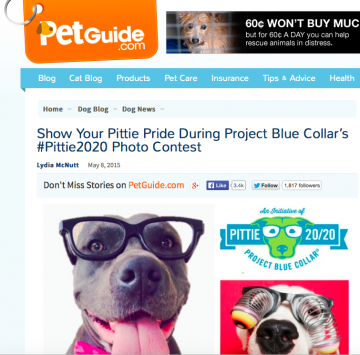 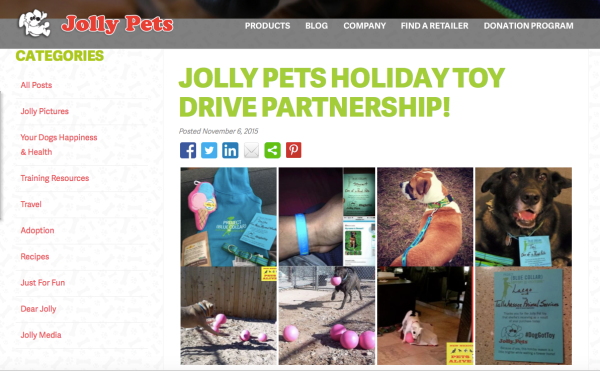 By encouraging people to post photos of Pit Bulls in glasses on social media, Project Blue Collar is trying “clear the vision” of the breed. 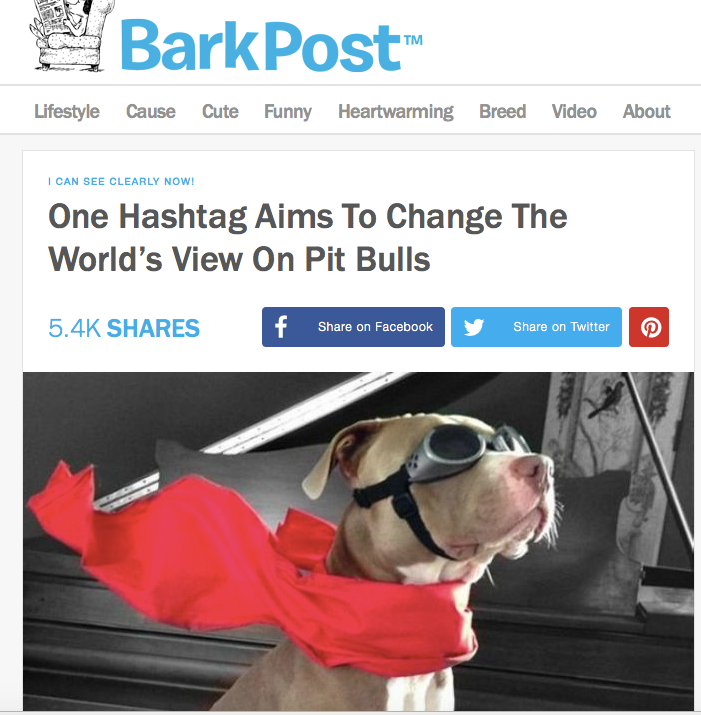 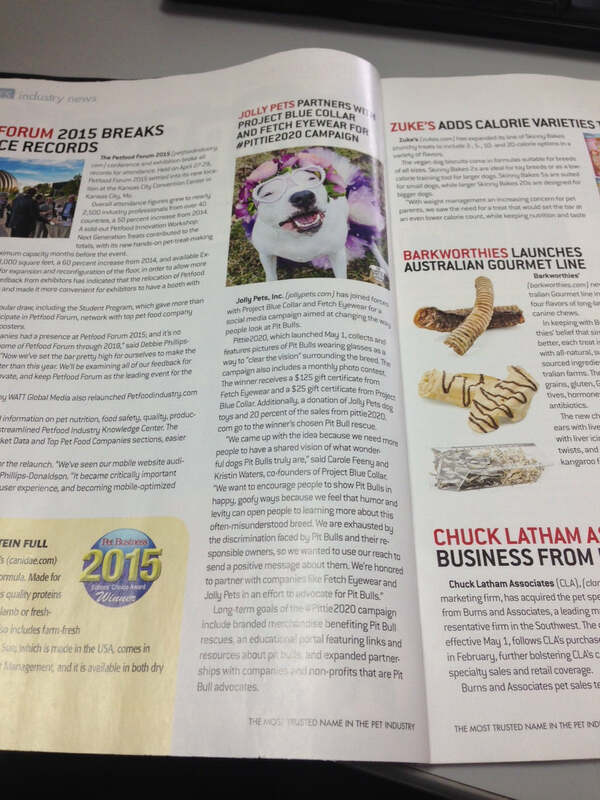 Bark and Swagger: Underdog to hero. 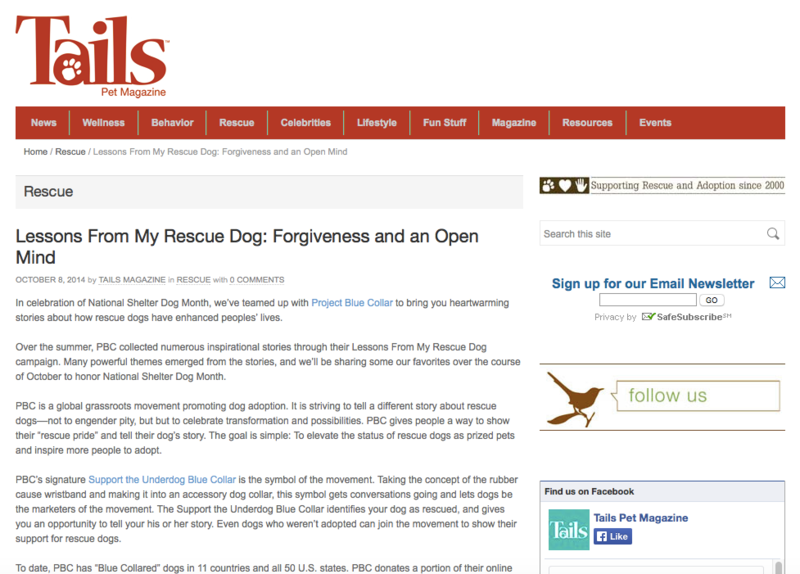 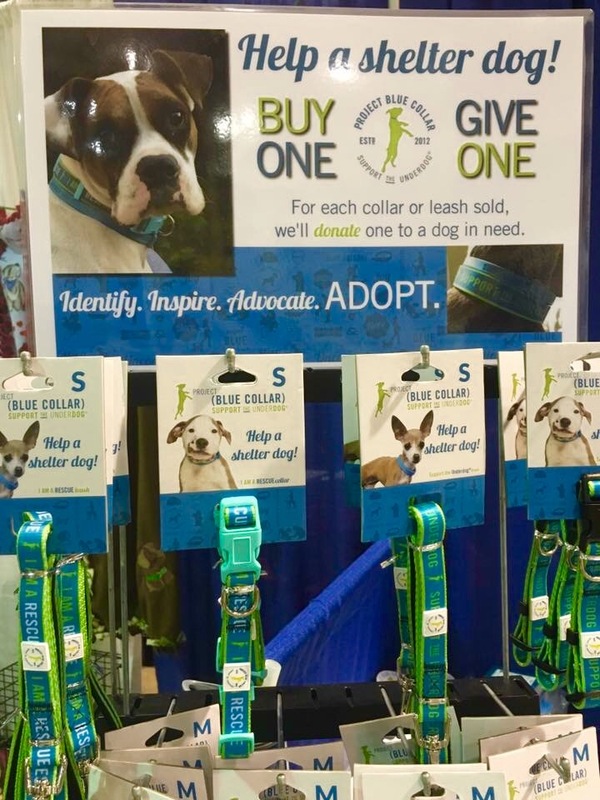 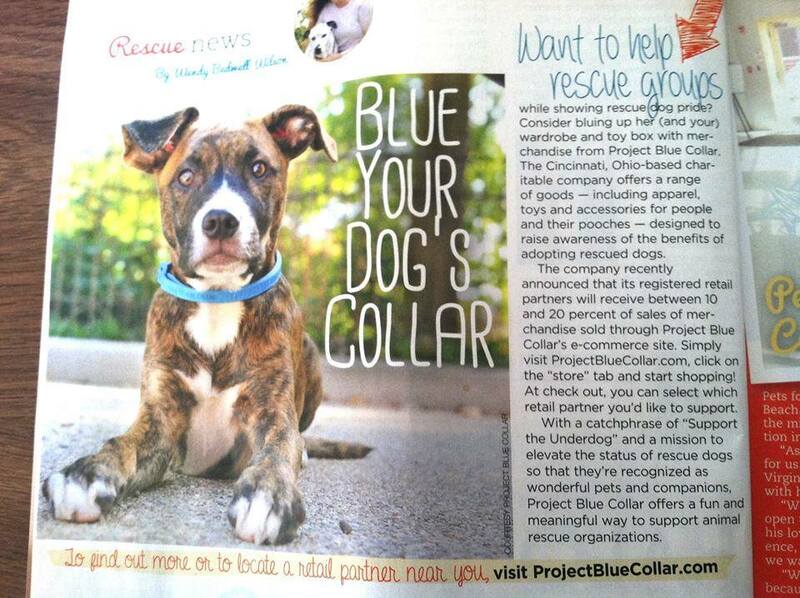 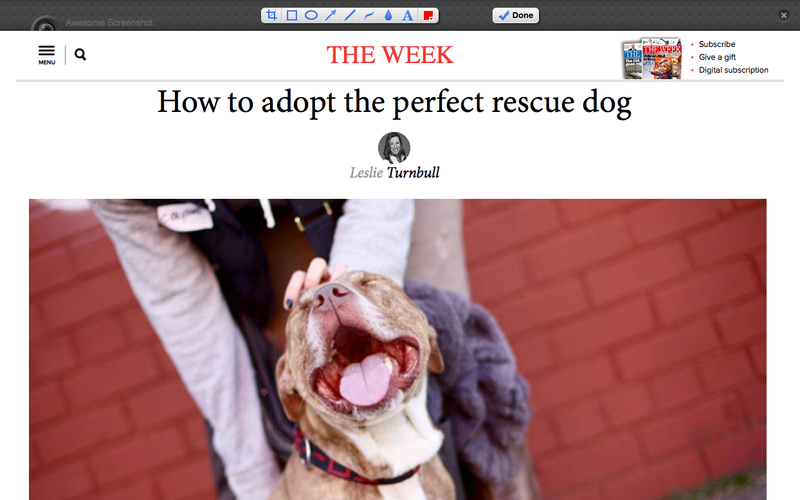 A new collar that celebrates the rescue dog.